The quest of inexpensive power and lesser taxes is fast changing the aspect of the data center industry. Now days, it is quite common to see data center industries being set up in distant locations far away from the users. Nonetheless, this has not made any noticeable impact on the functioning and usability of the data centers for the users. Before proceeding further, let us know about datacenter and server in detail here. The term datacenter refers to a physical or a virtual facility meant to house computer systems and its associated components/parts including telecommunications and storage processes. A datacenter is a home to your server. It is much more than just bricks and mortar. In fact, datacenters symbolize the new economy and are a clear signal/clue of a community making successful transformation to the Internet economy (web economy or digital economy). So, we can say that datacenters are not, by any means, a separate or an individual entity; rather, they are a collection or combination of different components (parts). A datacenter is a group of networked computer servers and is used for storing, organizing and distributing a huge amount of data. It comprises of various IT equipment including networking switches, servers, firewalls, routers, servers, storage subsystems, environmental controls(like fire suppression and air conditioning) and other security gadgets as well. All this calls for a physical facility (location or usable space) having required physical space and physical security to accommodate the whole collection of equipment and infrastructure. A datacenter needs extensive backup power supply processes, cooling processes, redundant networking connections and security processes for the purpose of managing core applications of an enterprise. Datacenter offers you the power to run on a couple of nodes with externalized data stores. Server, on the other hand, works on a single code only with assigned/internalized data stores. Function of both (server and datacenter) is to offer total control over your infrastructure and data. Data center offers organizations with a large number of main features including instant expandability, high availability, flexibility in arrangement, control over infrastructure, and SAML. Deployment of data center is very simple using technologies including bare metal or VMware. Other alternative is running it on IaaS (Infrastructure as a Service, wherein the service provider is responsible for running and maintenance of the equipment) by which you can cut your infrastructure’s administrative expenditure while enjoying total authority over your data. 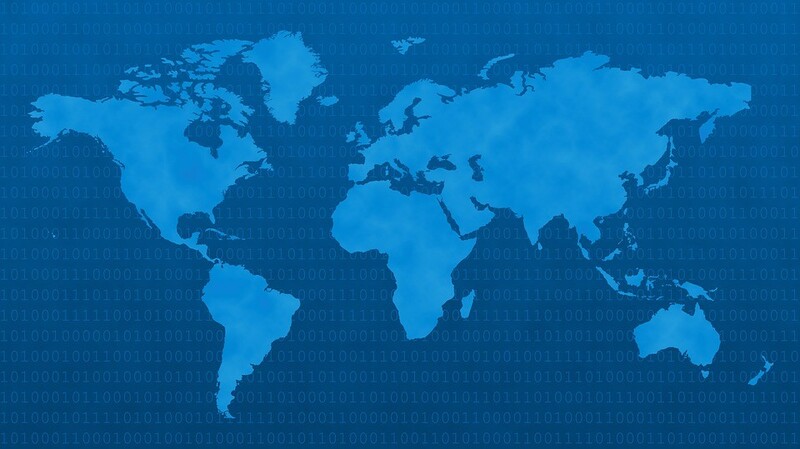 Geographic Diversity in the World of Datacenters. In this era of the Internet, the data center is no more confined to any singular location. On the contrary, latest dynamic demands call for geographic diversity of datacenters. Geographical diversity is a significant disaster recovery term. It reveals appropriate distance between primary as well as secondary sites. When we talk of disaster recovery planning, the role of geographic diversity is crucial. That’s because in today’s technological business environment, majority of companies depend on their data center to offer the base for a large part of their business. It is due to this reason that a detailed analysis of the main geographical factors pertaining to selection of a datacenter site is significant. The functioning of a company gets disabled when any disaster hits. This results in huge losses for businesses in terms of repairs and cleanup costs. Hence, to significantly reduce the possibility for any disaster (be it fire, outage, weather emergencies, failures of facility like power supply interruptions), there should be sufficient distance between primary and secondary sites. Weather and Climate. Weather seems to play a major role in selection of the datacenter site. A detailed analysis of the weather patterns of the region(area)along with the temperatures(high/low), seismic activities, rainfall and wind speed is must. Availability of Key Resources. Resource availability (like power, network) is another factor worth consideration while selecting a datacenter site. Deficiency of power infrastructures can prove to be a major obstacle for ensuring reliable connectivity by a datacenter. So, make sure to check access to any dependable power grid (of the geographic area), location of the major generation power station, its substations and power feeds to where your data center shall be developed. Enquire about local power outages and check whether the region has access to multiple tier one network providers. Nearness to Customers. Building in a region having close proximity to customers and skilled workers is significant. Why? Because most of the apps need quick response times along with minimum waiting period. Datacenters need tech-savvy workforce and must be based in a region with sufficient availability of tech workers. Local Considerations. Some local considerations like accessibility to airport, roadways, availability of tax incentives for the area, possibility for expansion in the region etc. need to be considered while selecting the datacenter site. Geographic location of the hosting server is important in terms of quality of its distribution. You are recommended to host your website in the same location as your prospective audience to boost your website’s SEO ranking. Hence, the physical location of any server is used as a clear sign by majority of search engines thus affecting the SEO rankings. A point worth considering here is whether you should necessarily choose a server that is closer to your business. Well, it’s always better to choose a server that is closer (server location through the IP address of the server) to your business and to host it on servers that are near to your target market (geographically), otherwise your website will be slower if the location of your server is farther. After all, customer is king for your business, so your business must not suffer loss due to the choice of your server location and hosting provider. Majority of big websites use multiple servers and there are reasons behind it. A single powerful server costs nearly ten times the two servers with nearly half the power. Moreover, a single powerful server can just be updated and your website will get spitted between servers, thus hindering its growth. In addition, multiple servers come in handy to keep your site stay up and going in case one server fails or gets off-line due to maintenance. Thus, multiple servers evenly divide the load for overall best performance. Besides, the speed of every server is dependent on your physical location, the location of users visiting your website, protocol being used, the number of users making use of the server (at a given time), and the route of the server to the website. Moreover, better maintenance and management on the part of a hosting provider as well as better security are also the factors that influence server response time. However, there is no guarantee that one provider with a couple of servers is a less favorable choice than the other with hundreds of servers. The former might take much better care of its small numbers, while the latter be negligent in regard to security and maintenance, thus, it is hard to know in advance. On your part, you can do all the various things to speed up your website (e.g. optimize your database, improve the maintenance of your website, and so on.) However, the optimization of your web server can be achieved solely by the selection of the one that matches your website traffic and your resource usage as well as works well; which can only mean choosing an appropriate hosting provider. Before selecting any hosting provider, make sure to check the hosting reviews of people about it. Check about its uptime, customer support and responses and its reliability to its clients. Another point worth consideration while selecting any hosting provider is to consider your website traffic. Does your website get large amount of traffic or have you just started your venture? Opt for a shared hosting plan if you are a beginner, however, a shared hosting plan will not suit you. Pricing could be yet another factor while selecting a hosting provider. Always keep in mind that saving a couple of bucks every month must not be your choice while choosing a web hosting company. It is always better to invest in a fast, secure and a reliable web hosting company by shelling out a reasonable amount to secure your website’s future. It is true that choosing any particular hosting provider is one of the vital decisions on which the well-being and future of your website/business depends (just like selecting a suitable life partner who is compatible with your individual requirements). So, while choosing a provider, pay attention to your server location along with various factors including website weight and website traffic (number of clients on any single server and amount of traffic), number of software/applications used by clients, and your particular requirements (your company’s area of expertise). After all, it is one of the most critical business decisions and will have a direct impact on the functioning of your website. Blogging: a Hard Choice between "Renting" and "Owning"
Copyright © 2016 - 2019 HRank.com - All Rights Reserved.